A new study from the Harvard Medical School suggests that the superabundant microbes lining our gastrointestinal tract are ultimately our evolutionary partners, shedding light on “the hygiene hypothesis” and finding that microbes are specific to their host species. Gut bacteria’s key role in immunity is tuned to the host species, researchers have found, suggesting that the superabundant microbes lining our digestive tract evolved with us—a tantalizing clue in the mysterious recent spike in human autoimmune disorders. 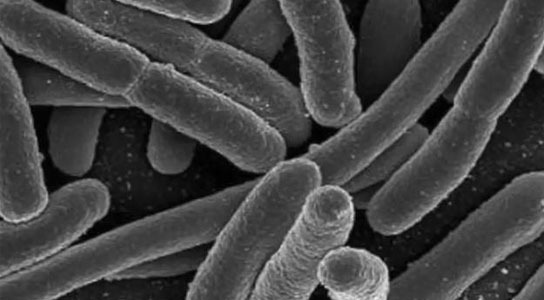 A new study reports that the superabundance of microbial life lining our GI tracts has coevolved with us. These internal bacteria, which are essential for a healthy immune system, are ultimately our evolutionary partners. In other words, humans may have coevolved with gut bacteria unique to humans, which are not immunologically functional in other mammals. This study, the first to demonstrate that microbes are specific to their host species, also sheds light on what’s called ‘the hygiene hypothesis.’ According to this idea, living in increasingly hyper-hygienic environments might contribute to recent spikes in childhood allergies, as these beneficial host-specific microbes are hindered by the plethora of antibacterial home products and cleaning chemicals. This paper will appear in the June 22 issue of Cell. That 500 to 1,000 microbial species inhabit mammals has long been documented. Researchers have suggested that when it comes to digestion and other metabolic activities, the particular species of bacteria may not be significant provided the bacteria contain specific, helpful genes. In other words, a bacterium that breaks down food in the mouse gut can probably do the same in the human. But the microbes that fortify our immune system have not been studied in this regard. Are they functionally unique, or would any species suffice? To address this question, Hachung Chung, a postdoctoral researcher in Kasper’s lab, studied two groups of mice, both of which had been bred to lack microbial flora. For one group, she introduced microbial species that are natural to mice, and to the second, she introduced human microbes. For both groups of mice, an equal quantity of microbes, and an equal diversity of species, soon flourished in their digestive tracts. But despite this apparent similarity, when Chung examined the intestinal tissue, including intestinal lymph nodes, of mice from each of the two groups, she discovered that the mice with humanized microbes had surprisingly low levels of immune cells, levels equivalent to mice who lacked intestinal bacteria all together. “Despite the abundant and complex community of bacteria that were in the human flora mice, it seemed like the mouse host did not recognize the bacteria, as if the mice were germ-free,” said Chung. In a third experiment, Chung infected all the mice with salmonella. Almost from day one, the mice with human flora showed significantly higher levels of salmonella in their system than the mice with normal flora. The immune systems of the mice with human flora were effectively incapable of fending off the pathogenic bacteria. This work was funded by the Crohn’s and Colitis Foundation of America, the Danish Council for Independent Research | Natural Sciences, the National Institutes of Health (grant F32 AI091104), and by an NIH Director’s Pioneer Award (DP1OD000964). Be the first to comment on "Microbial Life Lining Our GI Tracts Has Coevolved With Us"